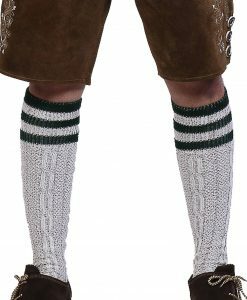 A pair of Bavarian socks to wear with lederhosens for Oktoberfest this year! 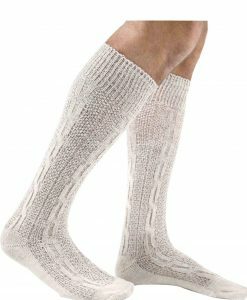 These simple white trachten socks are made of the finest quality polyester and cotton mix giving it a comfortable fit and ultimate stretch for a long lasting use. 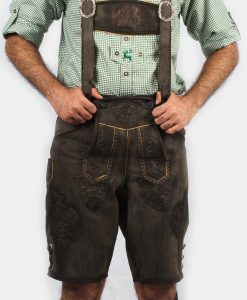 A modern look with a little traditional German design all over with 3 green marks at the top. 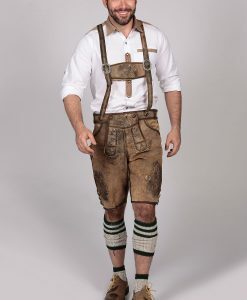 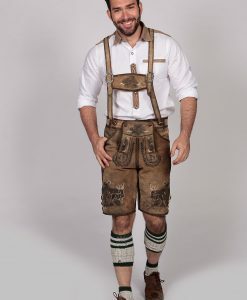 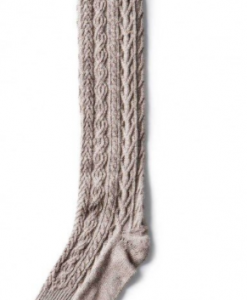 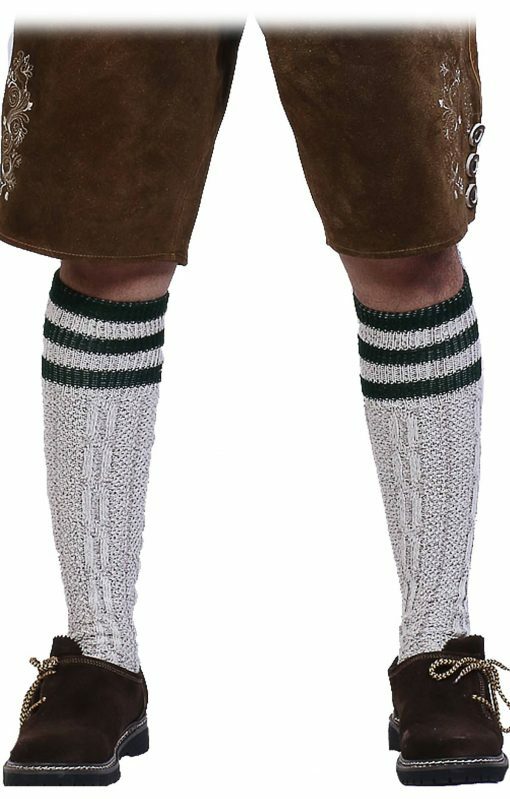 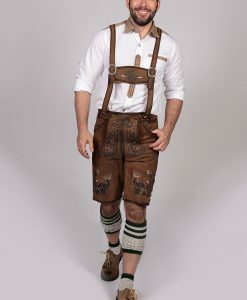 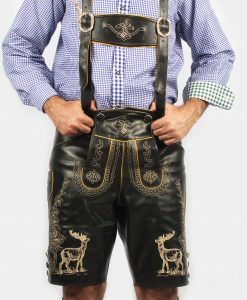 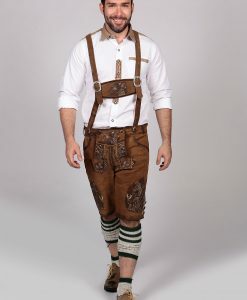 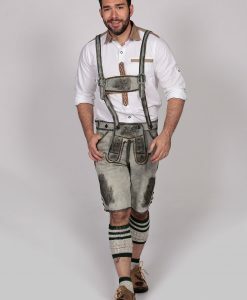 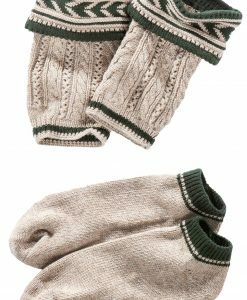 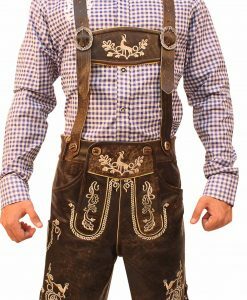 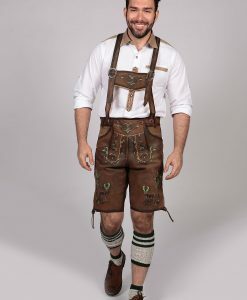 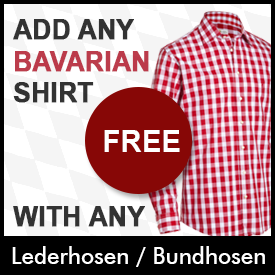 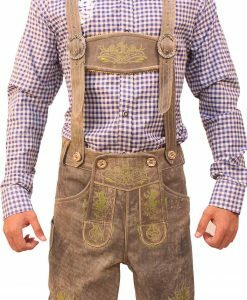 Wear these lederhosen socks with your traditional German outfit and add an extra layer of comfort for your feet!